Kodi, somewhat of you will know it as XBMC, is a free online media player. It has many channels for your entertainment. 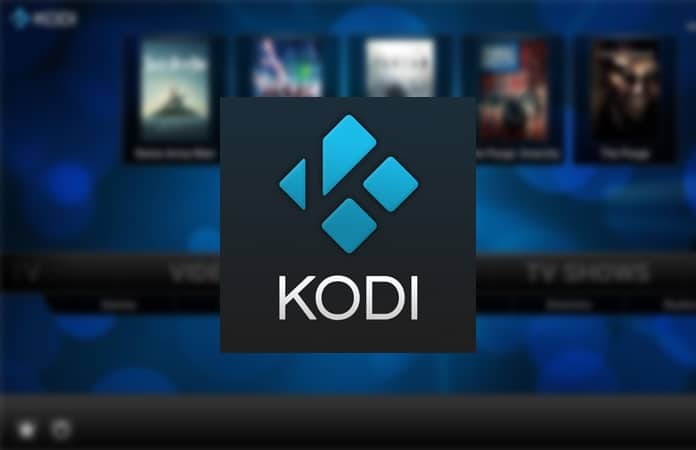 You can watch Music, Movies, Sports and other channels on Kodi. It is an open source player, hence you just need to install the Kodi software on any of your devices. It is compatible with Android, Mac, PC and more. Moreover, to access different channels you just need to add live TV addons for Kodi. We have selected the following live TV addons for Kodi that will give you a maximum amount of content. This is one of the oldest addon among the other live TV addons for Kodi. Navi-X user base is up to millions. 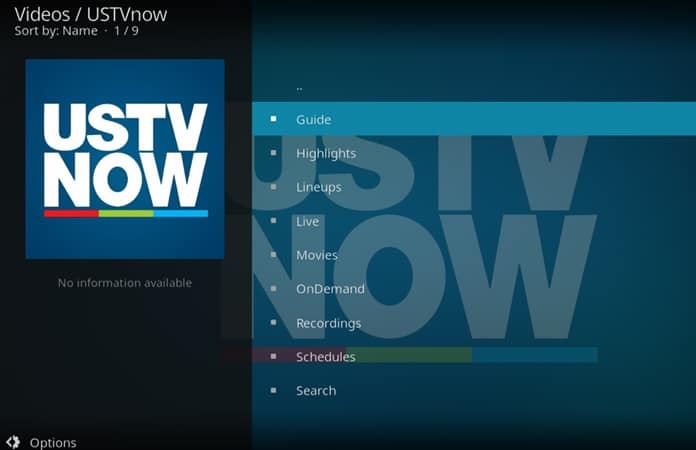 One of the Navi-X features is to suggest shows to the users, which are based on most watched/popular in the last day or week. Therefore, it can help you to choose what to watch next or what is trending at that moment. You can also watch live sports channel and international TV. Hence, you don’t need to miss out on any of your favorite team matches, albeit be NBA, Soccer, Cricket or UFC. Furthermore, you can watch the latest Hollywood flicks, music videos, TV series and more. 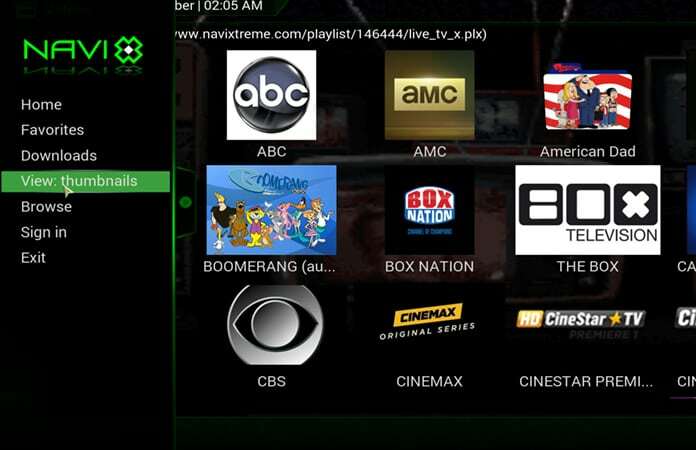 Moreover, Navi-X also enables the user to select any of the channels as their favorite, so that in the future the user can access his favorite shows from the favorites tab. Also, you have the ability to search a show from the search bar. Now, this addon requires a subscription before you can watch any shows. You need to go to its official website and then subscribe to its services. However, you can view 6 free channels but in order to view more of the channels, you have to pay for them. Hence, you would have to subscribe to their paid model which is $19 per month, in which you can have access to 28 channels. Therefore, if you’re a fan of US channels like FOX, ESPN, CBS, NBC and more then you can opt-in for this addon. Other than that it has nothing more to offer when choosing a diverse content option. This is one of the live TV addons for Kodi that are easy and simple to use. One of the advantages this addon has among the other live TV addons for Kodi is that the channels are sorted in categories. Some of the channels that you can find in this addon are FX, Discovery, Fox Movies, Cartoon Network, MTV, ESPN, Sky Sports and more. Additionally, the Stream Engine addon has a library of most of the popular TV shows that you would love to binge watch. Now, this a new addon compare to other live TV addons for Kodi. But, it does not mean that it is not worth your time. Because one thing that Phoenix offers is many different types of international channels. 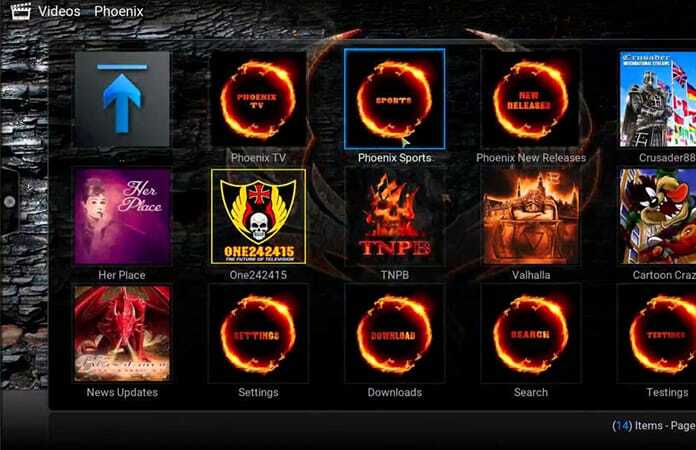 The community regular updates Phoenix, so you can watch new shows. 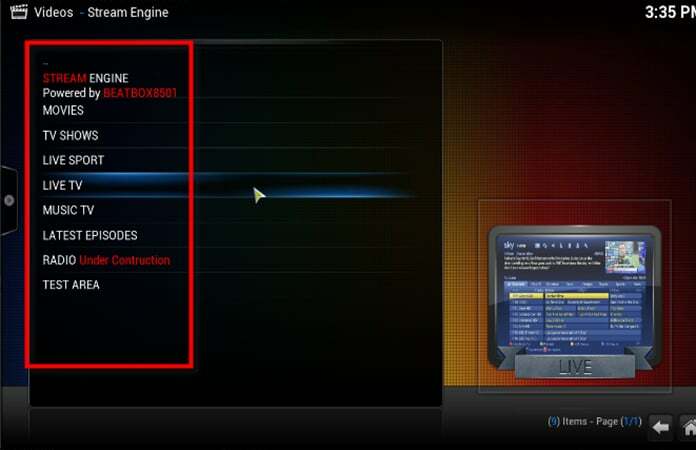 In order to view international channels, you can select category labelled, Crusader 88. Moreover, you can watch movies, news, music, and other shows. This addon has a minimal design to it. 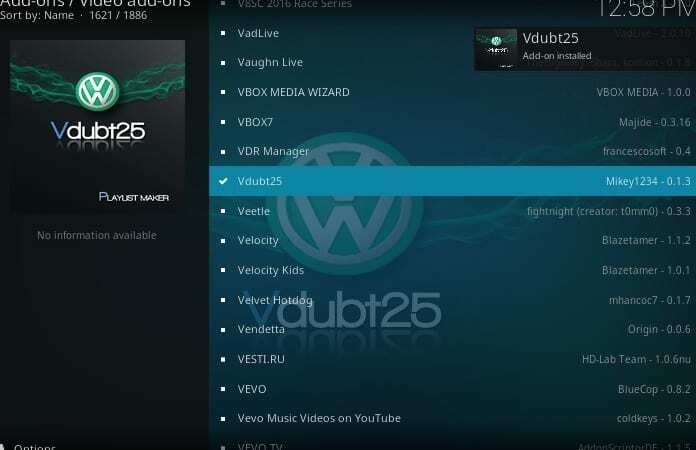 Vdubt25 has a bunch of channels that offers different types of entertainment for sports to movies to TV shows and more. You can also view channels from different countries such as the UK live, Ireland live and others. Also, it has many of your favorite TV shows like Game of Thrones, How I Met Your Mother and more in HD quality. That is it folks, aforementioned are the top live TV addons for Kodi. Let us know in the comments below if we have missed any other addons.